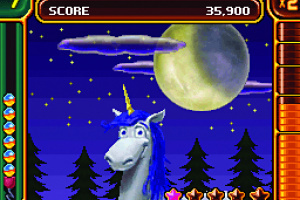 Peggle heads to the Nintendo DS in one of the handheld's best offerings. 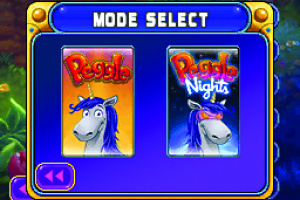 Over the past few years, Peggle has become known as one of the most addicting and enjoyable puzzle action games on the market. 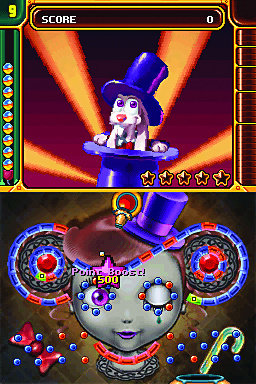 After playing for only a few minutes, you know you’re playing special and will immediately become hooked on the game. 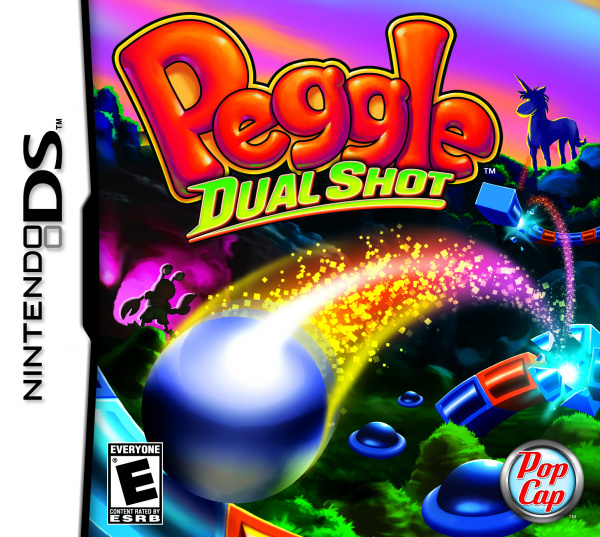 After already hitting the Xbox 360 and Playstation 3 as well as the iPhone,..
Peggle Dual Shot is based on the highly acclaimed original version of Peggle, which combines elements of pinball and pachinko with a dash of billiards and a wealth of indescribable zaniness. 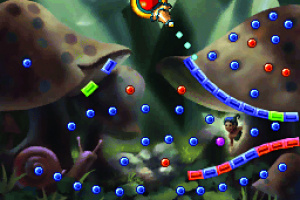 In the game, players fire a metallic silver ball from the top of the screen, relying on gravity to propel the ball downwards while it ricochets off unique arrangements of orange and blue pegs. 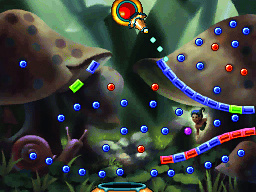 The goal is to clear all the orange pegs from the screen, while earning as many points as possible, before running out of balls. 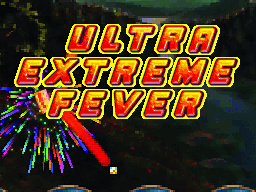 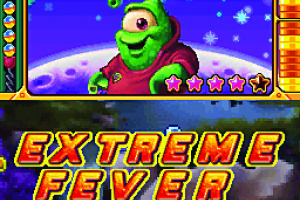 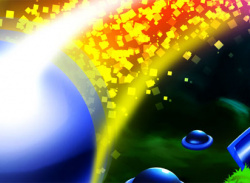 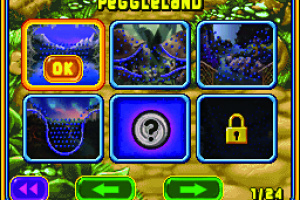 A moving bucket at the bottom of the screen offers free balls, while green power-up pegs unlock special abilities via ten unique and memorable Peggle Masters who guide players through dozens of levels of gameplay challenges. 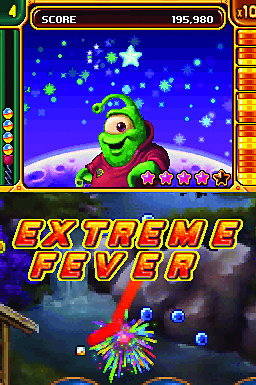 Power-ups include explosive area-clearing blasts, lobster claws that serve as pinball-like flippers and “fireballs” that cut through all pegs in their path. 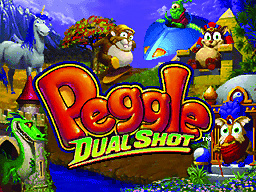 Within its 120 levels, 90 challenges and hundreds of hours of gameplay entertainment, Peggle Dual Shot combines classic elements of Peggle game action with a wealth of new content and unique features, including Bonus Underground and Peggle Zoom. 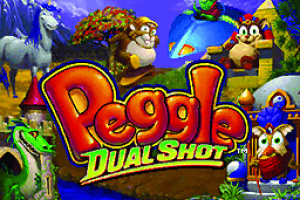 Peggle Dual Shot additionally contains all of the game content featured in the recent PC hit, Peggle Nights as well as ten all-new levels created by Q Entertainment exclusively for the DS version. 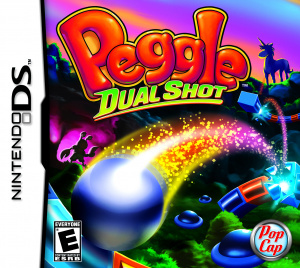 Optimized specifically for the DS, Peggle Dual Shot makes novel use of the stylus – for example, so players can zoom in to perfect their aim on any shot. 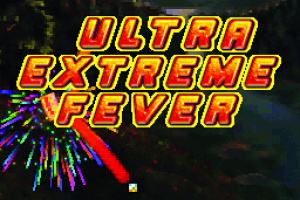 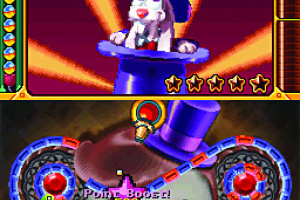 They can also enjoy a special Duel Mode, where two players can compete against one another to achieve the highest score, while passing the DS back and forth between shots. Since its first introduction in March 2007, the Peggle series has been downloaded more than 45 million times on the Web, and garnered more than a dozen awards from leading industry associations and trade journals. 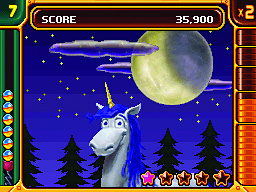 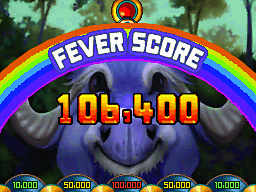 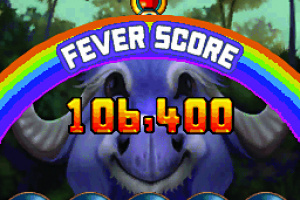 From spin-off hit Peggle Nights to adaptations of the original Peggle for mobile phones and iPod, the franchise gained more accolades and momentum throughout 2008. 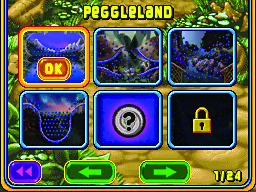 Later this month, PopCap plans to extend the franchise further with the launch of Peggle iPhone and Peggle for Xbox Live Arcade.